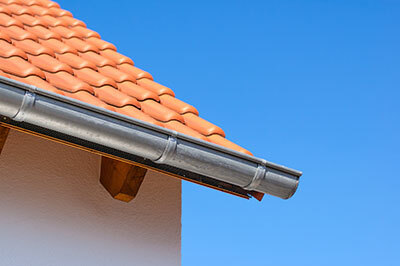 New Braunfels Rain Gutter Pros are a family operated business that offers rain gutter installation, rain gutter repairs and rain gutter cleaning in New Braunfels, Boerne, San Antonio, Fair Oaks Ranch and the surrounding areas. ​Few people can say they look forward to heavy rain. If your home or workplace lacks functional rain gutters, however, there's a lot more to worry about than just your clothes being soaked. Structures without a proper gutter system are vulnerable to rainfall in a multitude of ways: they become harder to access, the rainfall floods the surrounding area and threatens to damage property, plus there's a chance that parts of the structure itself will succumb to the water. 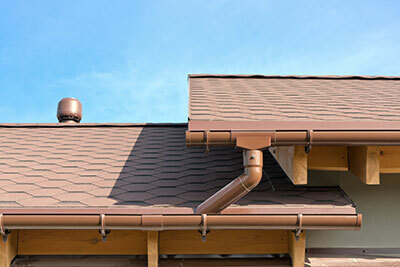 New Braunfels Rain Gutter Pros are here to help you with any gutter-related issue you might need. Perhaps you'd like a simple checkup to make sure everything is in working order for the rainy days ahead. Or maybe you'd like a complete installation or replacement of a gutter system, be it for aesthetic or functional reasons. We're grateful for the ability to offer our installation and repair services to a wide geographic area. Our name might say New Braunfels Rain Gutter Pros, but that doesn't mean we're going to turn down clients from other cities and towns who need our help. We do a lot of work in New Braunfels, but we often find ourselves making trips to San Antonio, Boerne, Spring Branch, Canyon Lake and other surrounding areas. If our client has no particular wishes and there are no special circumstances to consider, we'll most often recommend an aluminum gutter system in place of the old one. Many of our clients find that the quality is superb relative to the price. Aluminum gutters don't cost much to manufacture, and are also easier to install than some others since the material is easy to work with. Unfortunately, this also means that aluminum gutters aren't able to withstand as much punishment as some denser ones. While they come in many different levels of thickness based on the environment they're being placed in, aluminum gutters can still falter in extreme weather conditions or when heavy force is pressing against them. 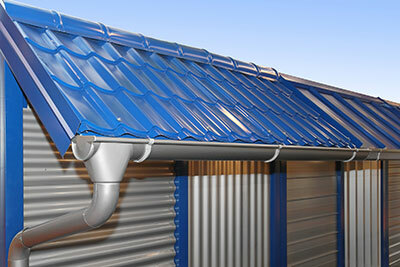 When talking durability, nothing gets you more bang for the buck than the super-solid galvanized rain gutters. Made from thick galvanized steel, these gutters can fight back any weather circumstance you can think of: powerful wind, frightening hailstorms, massive amounts of snow and so forth. It's not just the galvanized gutter's ability to resist dents or outright holes that makes them so good: they're also immune to warping in zones with very hot weather, or those where the weather shifts rapidly and unpredictably. 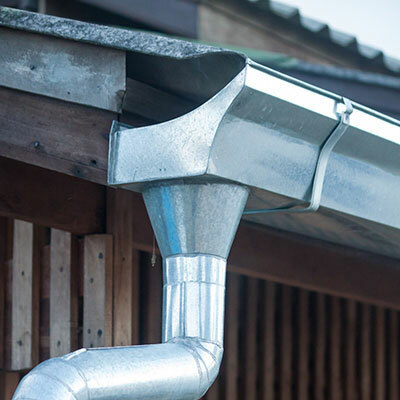 The reason why a lot of structures don't have these gutters is a simple one: due to the ruggedness of the material, they can only be correctly installed by a professional. Their heaviness can complicate the installation process, but when your galvanized gutter system is being installed by New Braunfels Rain Gutter Pros, you can count on no difficulties whatsoever. 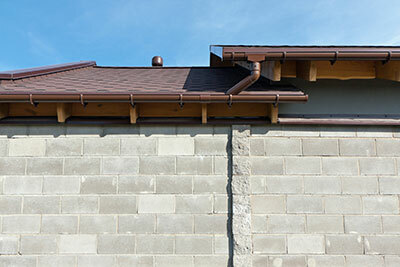 Galvanized gutters aren't the most resistant to rust, which means you have to check for it a bit more frequently. Luckily, maintenance will be a breeze as you'll never have to worry about damaging some part of the gutter system in the process. Aluminum rain gutters might come in a lot of colors, but their beauty still can't match that of copper gutters. Copper gutters have a very distinct appearance whose shine makes the metal seem precious – the price would seem to suggest it is, at least. No matter where you look, you'll find that copper rain gutters cost a fair bit more than those made from other materials. If you can afford it, though, you should probably look no further. The expenses become even greater when taking into account the more difficult installation. Don't worry, though – we'll work with you on this one and give you the best deal on the market so that your home can have some of the best-looking gutters available. If regular gutter maintenance isn't something you look forward to, copper gutters might be your best choice, as they don't need to be looked at nearly as often as some other types, like vinyl or even aluminum. Due to their price and also their shell life (copper rain gutters can easily last for a lifetime), they are the preferred option of clients aiming for the long run. 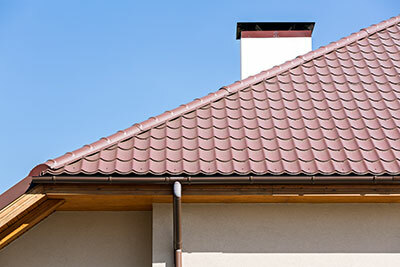 If you're ready to increase the value of your home while improving its appearance and giving it long-lasting protection, copper gutters are a safe bet. This is true, but half-round rain gutters also have a distinct advantage over others – their shape makes them easy to clean, even from moist mixtures of leaves and debris. 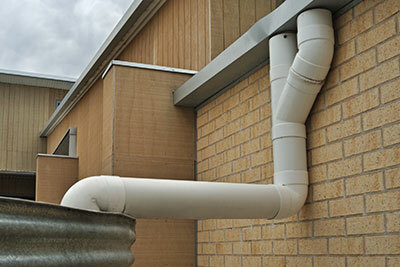 Besides, unless your home finds itself under heavy downpours, a half-round gutter system will serve you just fine. Another good variation of the gutter's shape, some find that box gutters are the perfect medium between a K-style and a half-round gutter. They don't have the odd appearance of the former, but can also carry more water than the latter. The shape itself is another strong side of the box gutter: it allows them to be efficiently resized in virtually any way. As such, box gutters are great for places where regular-sized gutters won't do, or where you might want a gutter that is indiscernible from the rest of the structure. Indeed, because of their ability to stay concealed, box gutters are often combined with wood to make them appear as a natural part of the structure. They might look as if they're not there, but they'll do a decent job of channeling even larger amounts of rainfall.